Back in the day, individuals that were born and bred from rural areas were indeed very rarely received as capable elected representatives. Emery was very fortunate to have a resident-based sophisticated family, the Griffiths from Scotland, as one of the initial pioneer names to settle on an Emery Village homestead in the mid 1800s. From 1910 to 1914, Thomas Griffith was elected and served as Deputy Reeve representing Emery in York Township and then as Reeve from 1915 to 1918. His homespun familiarity served to be essential in bringing Emery’s newly built schoolhouse, opened in 1914. His peers enthusiastically identified his fortitude and Griffith was elected for another term as the main Reeve for all of York Township in 1915. The Griffith family was well recognized in the community as they owned and operated the farmland which encompassed the entire present day Gulfstream area. Their farmhouse and connecting barnyard were located very close to Azalea Court, St. Lucie Parkette and St. Lucie Drive of today. The classification of the new Township of North York in 1922 brought the end of an era to rural reeve representation for the immediate surrounding area. After World War II another great man, Fred Young was elected and served as Alderman and Councillor in the rapidly developing community in the late ‘50s and early ’60s before becoming the MPP. Today, Giorgio Mammoliti sits proudly and proficiently as the locally elected mainstay Councillor. Mammoliti himself, a local graduate of Westview Centennial Secondary School right from within our own community. Elected Members of Parliament of York West and Emery Village have always been of dignified and respective backgrounds. The first riding of York West was established by the British North American Act of 1867 which divided the County of York into two separate ridings, York East and York West. This west zone included all areas of the Township of York that were west of Yonge Street and included all land in the townships of Etobicoke and Vaughan. In 1952, the federal boundary lines were reshaped to include only a good piece of Etobicoke south down to around Bloor Street West. 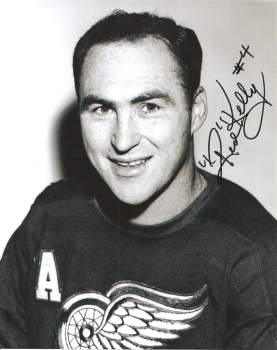 Red Kelly a member of multiple Stanley Cup winning teams for the Toronto Maple Leafs actually served as M.P. of York West from 1962 to 1965. During this time period, the riding still included a good chunk of Etobicoke but added the modest bit of Emery Village and rural surrounding within the denoted political boundary lines. But as the community grew, with new immigrants moving in, the riding boundary lines were again quickly re-drawn and Jim Fleming then took his turn to be elected as a returning Liberal candidate from 1972 to 1984. Fleming was highly respected, truthful and authentic as the MP of York West at Parliament Hill. So valuable was Fleming, he was appointed as the first Minister of Multiculturalism, a prestigious position many yearn to hold today. Fleming was followed as MP by one of his subordinates in his office whose ambitions directed him in winning the competitive nomination process and then becoming the new MP for our area. Sergio Marchi, an Argentinean national, served as M.P. of York West from 1984 to 1999 and was always elected with a wide majority of victory in every election. (My sister Alice actually ran against Marchi in 1988 but came up short with 6, 088 votes and was overcome in appeal to the ever popular Marchi who amassed 19,936 votes.) Marchi left politics in 1999 to accept a post as Canadian Ambassador of the World Trade Organization in Geneva. He currently teaches at Webster University in Switzerland. 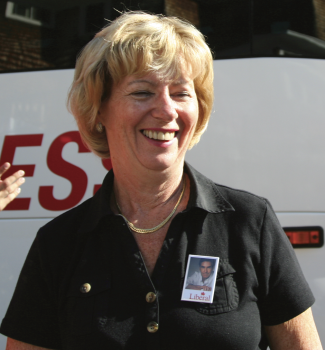 Which brings us to the story of our current and esteemed Member of Parliament, Judy Sgro. 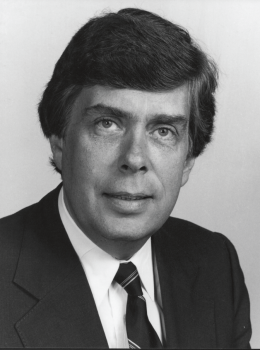 Originally from Moncton, New Brunswick, Sgro entered politics initially as City Councillor in 1987 and eventually was appointed as Emery’s Metro Councillor for North York Humber in 1994. When the mega-city was inaugurated in 1997, Sgro returned handily to political dedication with a solid margin of victory to be one of the area’s new mega-city Councillors alongside renewed colleague Giorgio Mammoliti. When Sergio Marchi left politics and withdrew as MP of York West in 1999, Sgro was approached by the local riding association to become the impending and forthcoming MP for our area. An obvious choice, Sgro won handily and has served as our elected official on Parliament Hill ever since. Judy Sgro continues to serve the community with her nearby constituency office located at 2201 Finch Avenue West at Arrow Road. In 2007, the Emery Village BIA acknowledged the MP with a street naming ceremony in the newly built subdivision on the former Workman’s Compensation site with Judy Sgro Avenue.